Kaur Films Featured on NBCNews! 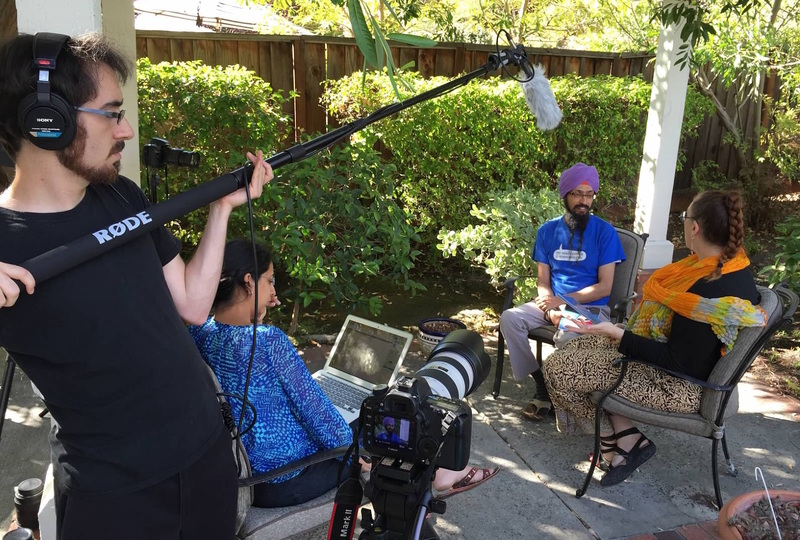 Kaur Life featured a new story about Kaur Films and what we are trying to do. I almost missed this story as it appeared just days after my daughter was born. Here is a full reproduction of it. Filmmaker, Harleen Kaur grew up in India and currently lives in California. As the daughter of an Indian Army officer, she traveled extensively all across the country. Traveling to remote locations and meeting people from different walks of life gave her a very ‘real’ sense of the world. From a very young age, she wanted to showcase and share these stories that she had encountered along the way which, lead her to start Kaur Films. Education: MBA in Marketing and Strategy from the Indian School of Business, ISB, in Hyderabad, India. 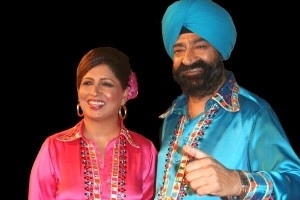 What inspired the creation of Kaur Films? I am a big fan of story telling and it is fascinating to watch characters in a story come to life. When I was working for National Geographic and The History Channel, I helped produce, pick and market documentaries. Watching and understanding the craft behind story telling definitely piqued my interest. However, I got lost on the corporate side of things when I started working as a brand manager for a few consumer product companies and my personal creativity took a backstage. But, somewhere at the back of my head I always wanted to go back to films and film making. A couple of years ago, I quit my traditional corporate job and started to seriously think about film making – and started to learn the process of being an independent film maker. It was during this time that I was invited to be a member of the United Nations Association Film Festival (UNAFF), San Francisco as a jury member. For my first 2 years at UNAFF, we probably went through 1000+ films on a wide variety of subjects and from different parts of the world. I was quite surprised that none of these stories had a Sikh perspective. The story teller in me woke up and said, “If we don’t tell our own stories then no one else will.” We ought to make our own stories, market them and showcase them to the world. That’s the genesis of Kaur Films. What is your mission? vision? At Kaur Films we Imagine, Create and Inspire – our stories are for everyone. There are hundreds of contemporary Sikh stories waiting to be told and we want to bring inspirational stories to life. 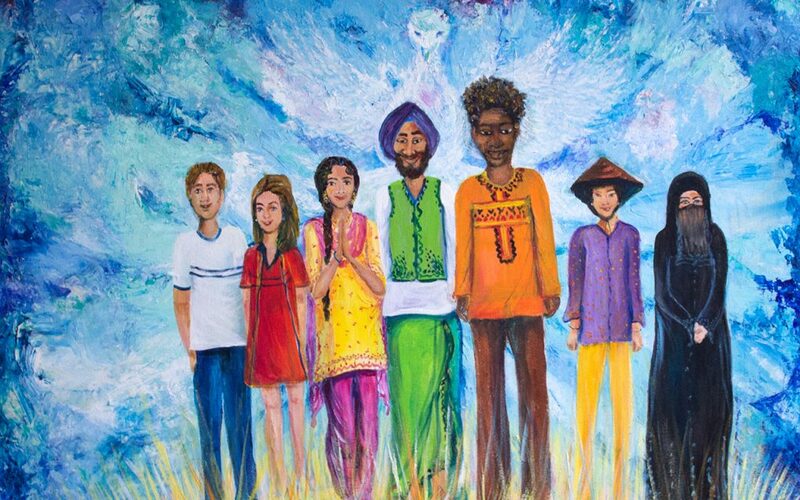 In a way, our stories are no different from any other human story, but being a Sikh itself provides a different perspective and color to them. There are lots of heroes around us and it is their stories that we try and weave into the mainstream story telling platforms. The best way to do that is to integrate other cultures into our stories. As I said earlier, the unique Sikh perspective is lost when it comes to mainstream media – and in today’s world, media drives everything – it not only tells us the content of our thoughts but also how to think those thoughts. It is no wonder that Sikhs have been stereotyped in the media – and Sikhs everywhere are battling those very stereotypes. In order to change the culture of a society, we need to change the stories that we tell. Kaur Films is changing the stories and if we do this persistently, we will be able to change the culture of stereotyping that precedes us. Hopefully, we can inspire others to tell their own stories along the way. Here is some more information on our forthcoming project, Drawn Together- Comics, Diversity and stereotypes. How can others get involved or contribute? Historically, Sikhs have been at the center of creating amazing real life stories and we have been wonderful story tellers as well. 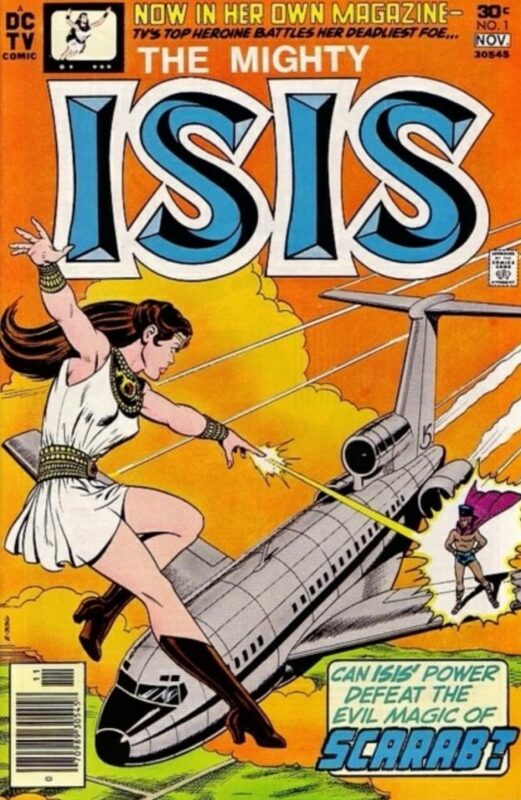 We need to revive this art and liberally use modern tools in doing so. So my advice to everyone is to search for stories that excite you, that you want to be a part of, where you can bring your own unique perspective and go full throttle in making the story happen. Share, contribute, inspire, change – that’s the best way to get involved. If you like something that Kaur Films is doing, do get in touch. More information here: www.kaurfilms.com. What do you enjoy most about working on Kaur Films? Each day is new, different and offers an opportunity to learn and create and that is what I love most about working on documentary films. My first film The Odd Couple taught me a lot about sports, athletes, triathlons, challenges and struggles that a sportsperson goes through. My second film Drawn Together- Comics, Diversity and stereotypes is about combating stereotypes and racism – the story is told with a backdrop of comic books. 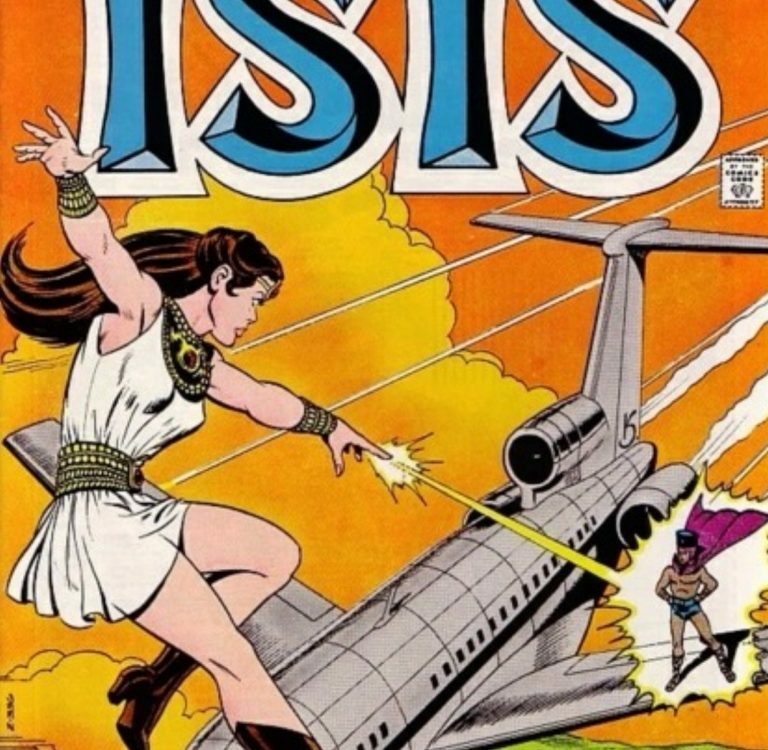 It has been a steep learning curve – about comic books, the portrayal of superheroes, about struggles of African Americans and even how entertainment can have a role in educating people. What I really enjoy is piecing diverse elements to create a good story. Kaur Films is a one woman show and I am grateful that I get a lot of help from my family to do the work that I am doing. When and how did you realize this was the career path for you? I am sort of an accidental film maker. Ever since I was involved with the National Geographic channel, I knew that somewhere down the line this is what I would want to take up as a career. In 2013, I stumbled upon the story of Parvin and Jeff and decided to go with the flow and made my first short film The Odd Couple. The film went on to be screened in many film festivals in US, Canada, and Australia and the overall response has been very encouraging. So, in a way, I am still going with the flow – and as long as I can find compelling stories I will continue to weave them into films. How do you feel Sikhi inspires your work? Every aspect of my life, work or otherwise is inspired by Sikh values. Before I started with films, I also did a podcast series on Sikh History (available free on iTunes here.) That’s when I truly realized how rich our own history has been – 500 years ago, Sikhs were talking about equality, tolerance, equal rights for women etc. It is almost surreal to imagine the political, religious social discourse back then and yet the solutions that came out of the Sikh teachings were so farsighted and as we call them today – liberal and progressive. These lessons continue to be inspiring and uplifting – and I derive my motivation from those very stories of our heritage. There are times when I am really drained out and feel completely done – this happened on occasions as I was filming while being 7/8 months pregnant. But then remembering these stories carries the day for me. What elements of Sikh values are in your work? 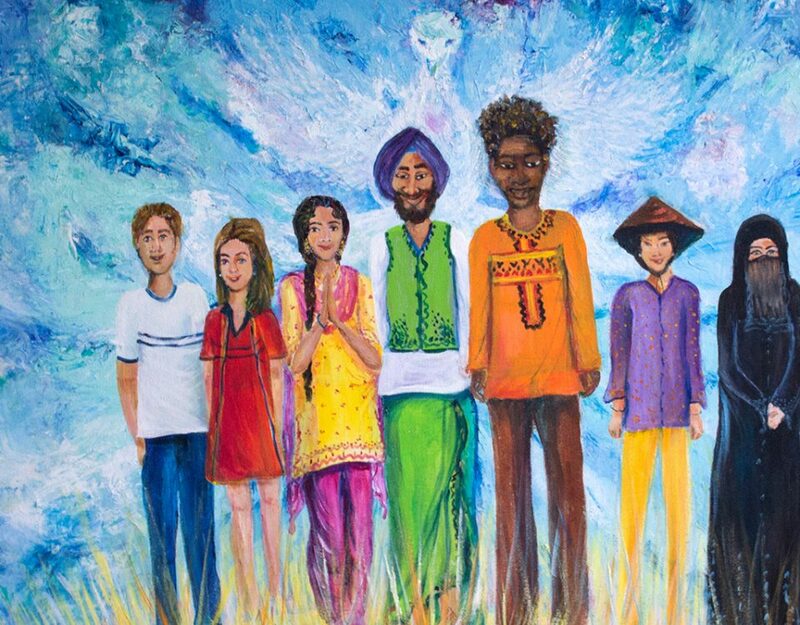 While there are various elements of Sikh values that are in my work, but two that stand out for me are being in a state of Chardi Kala (eternal optimism) and the concept of Nirvair – without malice and prejudice. Treating everyone equally and with dignity is something that all generations have to learn for themselves. Drawn Together- Comics, Diversity and stereotypes has people from all walks of life and from all cultures and socioeconomic backgrounds. But to see them as equals and understand them as persons first have helped me immensely in giving them their due part in the film. What advice do you have for young Kaur’s may want to pursue film but are trepidatious? My advise to anyone who wants to pursue their dreams is to first be confident that if this is what really excites you and you really want to do it – put in the time, energy and effort to make it happen. Obsess about it. Research and do your due diligence so that you are aware of what you are getting into and while there will be plenty of surprises – you are equipped to handle them. There will be missteps and puddles in between, learn from those but don’t regret your decisions.